There have been many articles written about coloring books for adults and recently Gail Elliot of DementiAbility wrote about the research supporting the therapeutic benefits of their use for people with dementia. An effective creative art therapy program can be designed around using these coloring pages, both at home and in facilities. Depending on the people involved, large group, small group or an individual program may be most appropriate. Because we are generally less alert and not as inclined to concentrate in the period after lunch or in the early afternoon, this is an ideal time for creative programs. These programs tend to be not as demanding of cognitive or physical abilities, and they are relaxing and so best suited to that time period. Here is a selection of downloadable coloring pages to help get you started. These images are fairly simple and are best suited to people with mid-stage dementia. A large group activity allows each participant to have specific goals (such as completing a particular section of the project), following the rules and cooperative interaction. Adding an element of competition can provide more enjoyment and excitement to the activity. For example, a group may work together to design and complete a large banner for the Valentine’s Day social, or perhaps posters to promote Heart and Stroke Awareness. The activity can be organized such that each person contributes a piece independently, or everyone can work side-by-side on the same project. Add awards for things such as most humorous, most educational, best colors, etc. 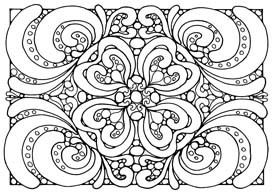 If using coloring pages, offer a selection of pages that have more intricate designs, or use abstract images (such as mandalas) and encourage the person to select a color theme and plan out the pattern. Selecting the participants is an important step in having a successful program. It is important that the participants get along and that their abilities are similar so that no one participant will take too much of the available time. It is also important to know each person’s individual interests and preferences (see Montessori Principle 4) so that these can be incorporated into the activity to help ensure that the participants are successful and get the most benefit from the program. For example, if a person doesn’t like to get their hands dirty they would likely prefer to use something other than liquid tempera paint. If they have difficulty grasping, look for an easy-to grip-brush or an adaptive devise for color pencils (see Montessori Principle 6). If they have limited range of motion, set up their work area accordingly. 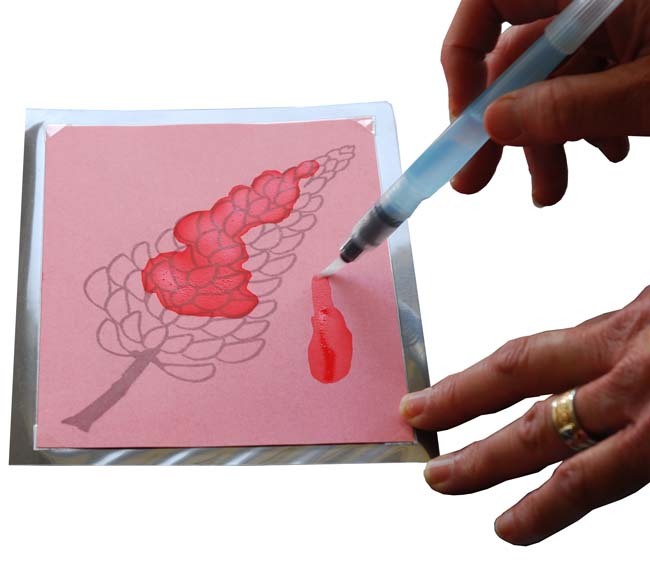 Start with simple, concrete projects and materials (see Montessori Principle 8) such as a line drawing of a flower (this tulip, for example) and a selection of three or four color pencils, or paint cakes and a brush with bristles appropriate for the detail of the drawing. 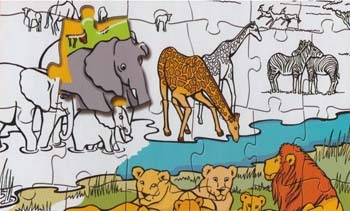 Be prepared by having a copy of the drawing that has already been colored to demonstrate (see Montessori Principle 3). If possible offer a choice of two images (Montessori Principle 2) and also have available a more challenging line drawing and additional color pencils in case a participant finds the image to be too simple, or if they want more color choice. Our WaterDoodle activity is also an excellent choice for a fun small group coloring program. establish a closing ritual acknowledging each participant by name, thanking them for their participation, and asking them if they would like to meet again next week. Play a different theme song such as “‘Til We Meet Again” as they disperse. Find a task for each individual to do and encourage them to be the go-to person for that task. For example, one person may assist with setup, another may check that the colored pencils are sharpened and another may be in charge of putting away the materials. For those of you familiar with the DementiAbility Way, these are the roles and routines that are part of the implementation of the Montessori approach. Ideal for: People at home and anyone in a facility, but with limited time and resources, focus on residents who aren’t suitable for either large or small group programs. For some people, once they are familiar with the activity they may be able to enjoy participation in a small group program. Goal: Varies depending on the participant. Follow the same suggestions as described in the Small Group section above, but the program should be specifically tailored to the person’s needs, interests and abilities. The idea is not necessarily to complete a painting or drawing but rather to engage the person in the activity. Talking about a finished painting, having them finish a mostly completed image or using WaterDoodle may be appropriate depending on the person. You can also use a computer or iPad for coloring activities. On a computer, go to this page and click on one of the color images at the bottom of the page. Select the “magic brush” (which is the default and features red bristles) to keep the color within the lines. The activity is labeled “Kids Online Coloring” at the top. To hide the words, you can scroll the image up. On an iPad, go to the Apps store and look for apps such as Musical Paint, PixelSwarm or Kaleido Free. Our Home has been doing the colouring program under various names for the past few years. All levels of functioning colour different styles of pictures but all seem to enjoy. Great activity.